Your home is your castle, and whether you’re planning a remodeling project or building a home from the ground up, your choice of contractor is vital to ensure you get quality work supported by reliable after-sales service. For a hassle-free performance, find a contractor who shares your vision for the project, offers qualified references and complies with the legal requirements for home building professionals in your state. The National Association of Home Builders offers a list of builders in your area, as do most local home builders’ associations. Check your local newspaper’s real estate section for current projects close by, and the names of companies that are handling the projects. Ask around among family and friends who have done remodeling projects recently, and get details for any contractors they recommend. From these two lists, choose three to five companies to investigate further. Contact each of the companies on your list and ask to discuss your project with a qualified person. Find out whether the work you need done fits in with their usual project type, and whether they are available to meet the timeframe you have in mind. Get the full address for their company premises; professional companies are likely to have official business premises and if the location is within 5 miles of your property, their response time will be shorter in the event of an emergency. Make an appointment for a representative of each company to visit you, check out your premises and provide an estimate. Eliminate any companies that don’t turn up for the meeting. Prepare a written brief of the work you want done and give a copy to each of the companies you have invited to bid. This ensures that all the estimates you get are based on the same criteria. If any of the home building or remodeling contractors has good ideas to add to your brief, contact all of the bidding parties and ask them to add the option to their estimate. Compare the estimates you receive and take account of subtle differences in each bid. Some contractors quote an all-inclusive rate for finishing the project within a certain timeframe, while others quote per hour, day or week. One company may include travel in the overall cost, while another may charge for travel time. Neither option is right or wrong; however, they are different and this could lead to misunderstandings, so keep a check on your expectations and make sure they are met by the proposals you get. The state has specific requirements for the registration of home building companies and remodelers. Find out whether the home builder or remodeler you prefer is licensed to operate, and ask for proof of current licensing. Check that the contractor has the necessary qualifications for the work you want done. Most states require home building contractors to hold property liability insurance as well as workers compensation cover. Liability insurance ensures that if anything disastrous happens, the contractor can claim against the policy to cover the costs of repairs. 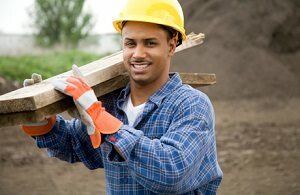 Workers compensation protects the homeowner in the event that one of the workers is injured on your property. Don’t be tempted to take an uninsured contractor simply because the price is lower. Ask how long the business has been operational and whether they offer warranties to cover their work. Get a list of previous clients and contact several personally to ask whether former work was completed on time and within budget. Find out whether the contractor acted professionally and if the homeowner recommends the company. You can also ask how the contractor responded to any issues after completion of the project. Once you choose your home builder or remodeler, conclude a written contract to prevent any misunderstandings between you and the company. The agreement should contain the scope of work to be done, the start and end date of the project, a breakdown of various costs and a payment schedule. If possible, get a lawyer to check the terms and conditions of the agreement and make sure you are comfortable with them before you commit yourself.